Ahead of appearing at The Assembly concert at Dubai Media City Amphitheatre this Saturday March 23, Hugh Jackman has arrived in Dubai to attend the event for the Global Teacher Prize. And while it may have been a short but sweet trip for the Wolverine star, he was sure to explore the best of Dubai. Jackman shared a video on his Instagram from a trip to the desert, and also at the Sheikh Zayed Grand Mosque, proving that it’s not all work and no play for him on this trip. Celebrity chef Gordon Ramsay flew into Dubai for the grand opening of Caesars Palace, where you’ll find his restaurant, Hell’s Kitchen. As well as delighting guests at his restaurant, he hosted What’s On for a blind taste test Hell’s Kitchen style. Jackie Chan touched down in Dubai on March 19 for a whistle-stop 4 days of filming in the city for his upcoming film, Vanguard. But despite an action-packed schedule, the action megastar made time to meet with a very important Dubai megastar, H.H. Sheikh Hamdan bin Mohammed bin Rashid Al Maktoum, Crown Prince of Dubai. A fan account, F3, shared a picture of the duo together, with both seen to be happily smiling for the camera. No further information has been given about the meeting, although we’d have loved to have been a fly on the wall to hear what they chatted about! Former Pussycat Doll and Special Olympics ambassador Nicole Scherzinger brought a brilliant week-long Special Olympics World Games to a close on Thursday with a stunning performance. But before she took to the stage, the American singer got to meet some of the athletes who had been competing in the games. “My love and admiration of this organization is almost selfish — the joy and inspiration spending time with them brings me, restores my faith in humanity time and time again. Athletes, you are of such determination, power, SUPERPOWERS, strength, grace, humility and pure LOVE! Congratulations to all of the incredible talent that competed and celebrated with us tonight! ♥️” Scherzinger captioned the post. 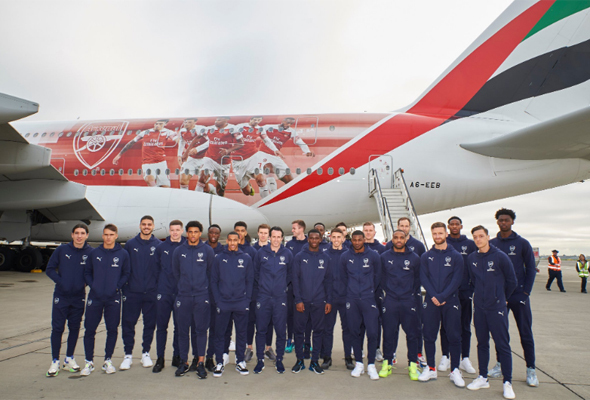 With a break in their schedule, Arsenal FC have headed to Dubai for a few days of warm weather training. You’ll also be able to catch the team play a mid-season friendly against Al-Nasr Dubai SC on Tuesday March 26. The match will kick off from 6pm, and will mark the formal opening of the newly built Al Maktoum Stadium. All the info you need on tickets is right here. 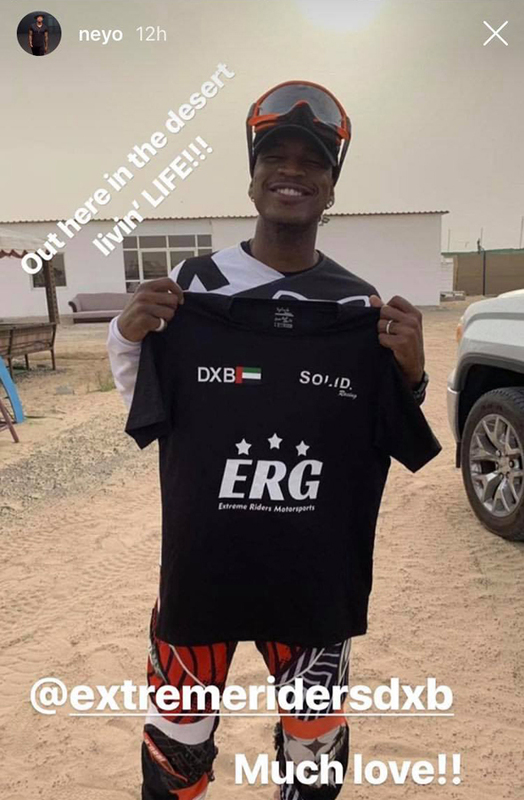 Manchester United footballer Jesse Lingard loves Dubai. He’s been visiting the city on and off for the last few months while recovering from a hamstring problem. This week, as well as getting some warm weather training in, he’s been spotted enjoying a fun-filled day at Cove Beach, and dining at Salt Bae’s restaurant, Nurs-Et. Making sure she got those wow-worthy Insta snaps at Drift Beach this week was former Love Island star, Olivia Attwood. The reality TV star also shared pictures from Nobu and Jumeirah Beach hotel with her 1.6 million Instagram followers. The Only Way Is Essex stars James Lock & Yasmin Oukhellou have been enjoying a romantic vacation at Jumeirah Zabeel Saray. But the reality TV stars also made time for plenty of partying, heading out with Inside Lifestyle to FIVE Palm Jumeirah for a pool day. While many stars go to Saif Belhasa’s farm to see the animals, Indian actress Shilpa Shetty was more interested in the growing of organic produce “was soooo impressed with the effort he (and some people) are making in growing and eating organic, really making me want to do this even more..” she captioned this post from the visit. Egyptian footballer was back in Dubai this weekend. The Liverpool striker and adidas brand ambassador headed to The Dubai Mall and held a press conference where 30 Dubai students were able to ask the star questions such as who his favourite team mate is, and what his message would be to the youth of Egypt. Another round of reality TV stars making their way to Dubai this week are The Real Housewives of Cheshire. We’re not sure whether they’re here for filming, or just taking a break, but we do know we’d love to check out Dawn Ward – one of the show’s main cast members – stunning Atlantis suite! R&B star Ne-Yo made his way to Dubai for two big performances at Meydan super clubs White and Drai’s. But, like most who come to Dubai, he took some time out and headed to the desert for some fast-paced fun. One quarter of girlband Little Mix, Jade Thirlwall is in town after performing at a Media City concert with her bandmates on Saturday. 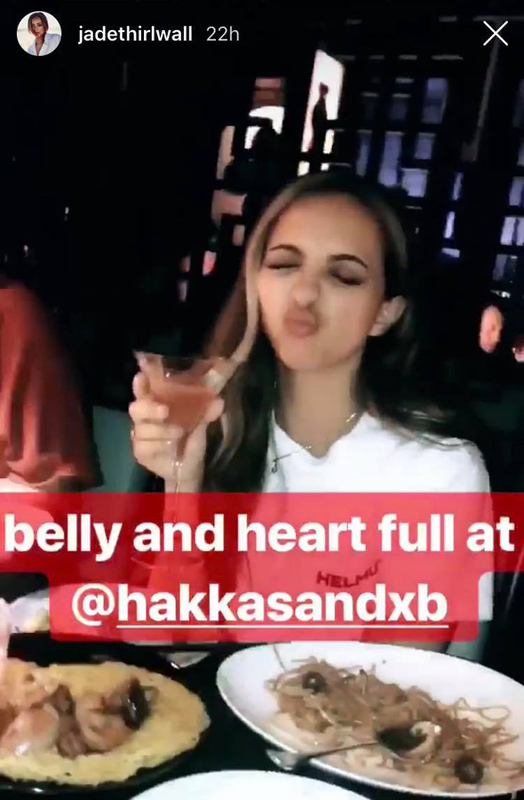 But she made time to fuel up at one of the city’s beset restaurants, Hakkasan, enjoying dinner and drinks with her mum.